We live on a beautiful planet, full of amazing places with unique wildlife. And thanks to such activities as diving, we can feel like a part of nature and forget about big cities with their business energy for a while. Diving in the most beautiful and unusual corners of the world, you can not only watch the unique plants and animals in close proximity but be aware of yourself as part of the amazing process of life. Each of these places has its own special features, each is fascinating in its own way. This is a real «classic». Even people who are not familiar with this activity know that Egypt offers unique opportunities for diving. And this is really a wonderful place. The Red Sea is unique in that there are no rivers flowing into it that can bring a lot of silt and sand. Clear water turns the Red Sea into something like a huge aquarium. There are a lot of unique fish and animals and there are many very interesting places to dive, like the Blue Hole in Dahab — a huge coral wall, fused together in the form of a wide pipe. You have the opportunity to meet a giant moray, a giant grouper, an Arabian surgeonfish, Friedman’s false chromium and many other unusual inhabitants of the deep sea. The Caribbean Islands have always attracted all lovers of adventure. This is a great place where virgin nature and curious giant squids and turtles, that are not afraid of humans, are waiting for you. There are many reserved and uninhabited islands that will amaze even very experienced divers with the magnificence of underwater life. Such as the island of Bonaire, which since 1979 has the status of the National Marine Park — the entire underwater world is protected from the surface of the sea to a depth of 60 meters. In addition to all sorts of small inhabitants, here you can find miniature and southern whales, as well as all kinds of dolphins. 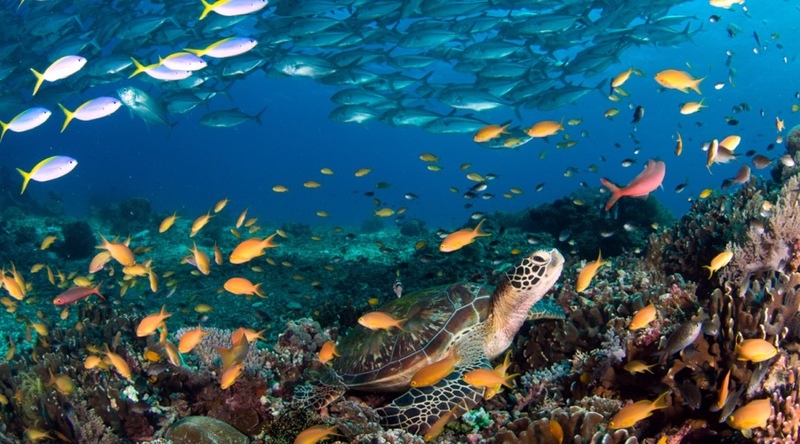 It is also a very famous place where there are more than 250 unique species of fish and 38 species of coral. On the Big Island you can make night dives with manta rays, and on the island of Lanai explore luminous underwater caves. Other unique inhabitants of Hawaii are monk seals. The unique dive sites also include the Molokini Crater, partially submerged in water. Those who arrive here in winter will have a unique opportunity to see humpback whales. Less well-known, but no less remarkable direction. The amazingly clear and warm sea around the Maltese Islands is an ideal place for diving and underwater photography. 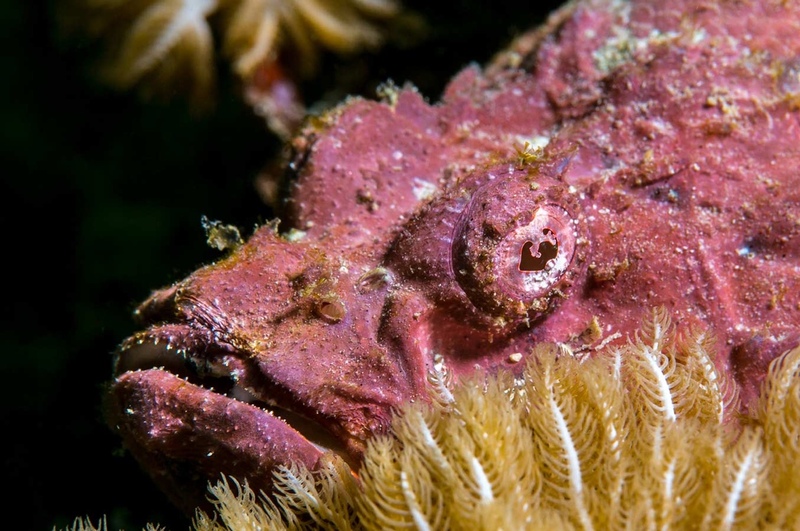 Divers here have the opportunity to observe not only 70 species of unique fish, but also magnificent reefs, underwater caves, as well as sunken ships – from the time of Ancient Rome to World War II. Not less interesting place. However, due to the presence of very strong currents, it is not suitable for beginners. But the unique nature is worth any effort and risk. Such wonders as the Mu Ko Similan National Park with its huge coral fans of all imaginable colors are waiting for divers. Whale sharks, giant manta rays, moray eels, barracudas and big turtles – the natural world is very extensive. Here you can find rare species of marine life and even endemics such as Hypselodoris Hypselodoris and Janola Nudibranchs. Baikal is a unique phenomenon. Here lives a huge number of the most diverse fish belonging to three groups: Siberian, Siberian-Baikal, and Baikal. There are 54 species and subspecies of fish belonging to 15 families and 5 orders. And despite the fact that it is not a tropical sea, the underwater life here is no less interesting and diverse! 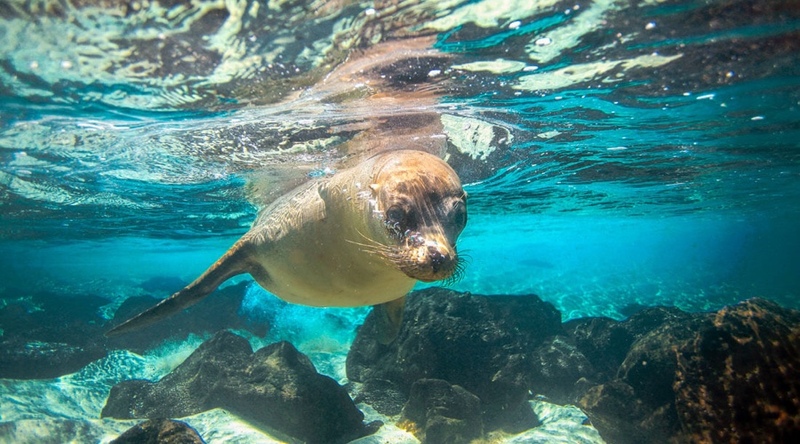 The Galapagos Islands are world famous for their unique nature. Sharks, whales, penguins, sea lions, seals and sea turtles live in this waters. And here you can find 306 species of fish, of which 25% are endemic to the Galapagos. Lake Nyasa is a place that few people know about. But this is a unique area that every diver must visit. 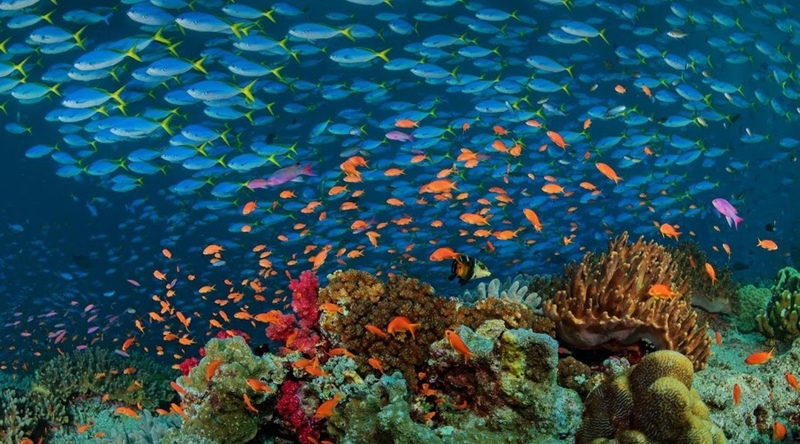 More than 1,000 species of fish inhabit its surprisingly clear waters, of which 600 species are not found anywhere else. The coast of Australia stretched for 25.000 km. So there are many places for diving, of which the most famous is the Great Barrier Reef in Queensland, which is the largest coral formation in the world. A unique place, with many different living creatures and even a sunken ship S.S. Yongala. Australia is one of the best places to dive. Also, there is the biggest population of dugongs. A beautiful country with great diving sites. There are many endemics in the local waters, such as Careproctus batialis, Liparis kusnetzovi, Viviparous eelpout, and many others. Scattered small islands around the Japanese mainland collect thousands of divers annually. There are about 2000 places that are excellent for diving. The amazing fauna of the Atlantic Ocean is represented most fully in the Azores. This is where the migration routes of blue whales and sperm whales pass. And the volcanic cliffs of the islands have become a safe haven for thousands of fish and shellfishes. Places with unique living creatures, including mantas and skates. And then there is clear and warm water — a real paradise for the diver. For beginners, diving on the inner slopes of the reefs or inside the atoll is ideal. Advanced divers will be interested in the outer surface of the reef. But don’t forget about the strong currents there! An ideal choice for divers, a place with the opportunity to dive throughout the year. The main attractions include the national park with caves — Chicho and Padre Nuestro. Chicho Cave is more suitable for experienced divers, and Padre Nuestro Cave can be visited by divers with any level of training. But that’s not all. Anyone wishing to swim with sea turtles and barracudas must definitely visit the Dominican Republic! Papua New Guinea is a small island country in Oceania. The depths of the sea are practically untouched here, their original uniqueness is preserved. And it attracts divers from all over the world. Everyone will be able to find for themselves something particularly interesting — swimming with whale sharks, night diving, diving on sunken ships and much more. Beginners and experienced divers will all be satisfied. Barracudas, sharks, sea fans, soft corals, jellyfish are just a small part of the underwater world of this island nation in Micronesia. These coastal waters are inhabited by 1500 species of tropical fish, and many rare mammals. 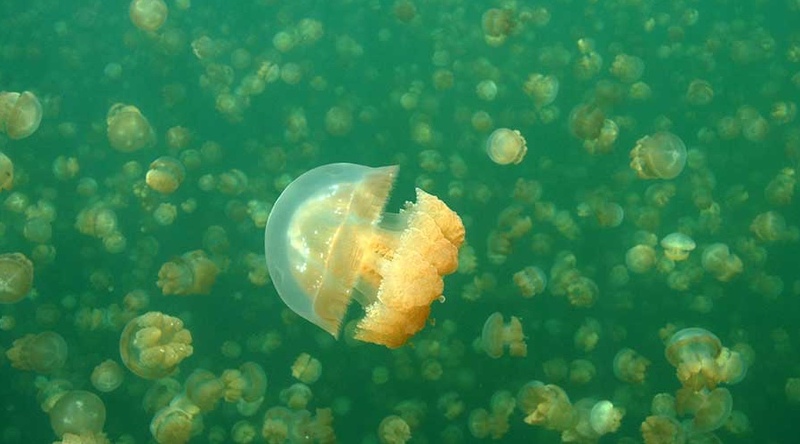 Among the unique places is the famous Jellyfish Lake. Palau is deservedly considered one of the best diving spots in the world. 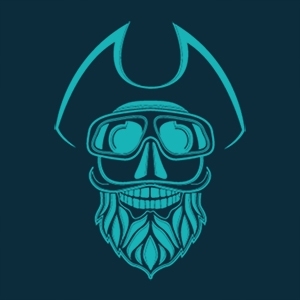 There are places for both beginners and experienced divers. Diving with great white sharks – what could be more tempting? But even without them, diving in the waters of South Africa is an interesting event. After all, the local underwater world is very rich and beautiful in its own way. Also here you can observe one of the most interesting phenomena — The Sardine Run. This is the largest fish migration on the planet when huge shoals of sardines spawn in the cool waters of the Cape Agulhas. The size of the shoals can be more than 7 km in the length. There are millions of fish here at the same time. The main thing for which this place is worth visiting is the opportunity to swim with such beautiful and curious animals as sea leopards. But even without them, there would be something to do — swim with the whales and watch the life of the southernmost colony of the Papuan penguins. The underwater world of Kamchatka is extraordinarily rich! More than 350 species of fish, seals, Steller sea lion, sea otters, octopuses, walruses, killer whales, whales, northern fur seal, Kamchatka crabs, and sea urchins live here. Immersion here is always an unforgettable and unique experience. Diving here is available only to divers with a higher level. Want to go diving with whale sharks? You’ve come to the right place! There are no more destinations in the world where whale sharks would always be in one place. To dive you will need to come to the village Oslob, which is on the southern side of Cebu Island. If your level is above average, then you definitely will not be bored. But for beginners, there are many schools that allow you to learn to dive from the lowest level or improve existing skills. Those who like to watch the whales, just have to visit this place — one of the few tropical places on the planet that have preserved their identity from ancient times. Here the humpback whales migrate along the path from Antarctica. 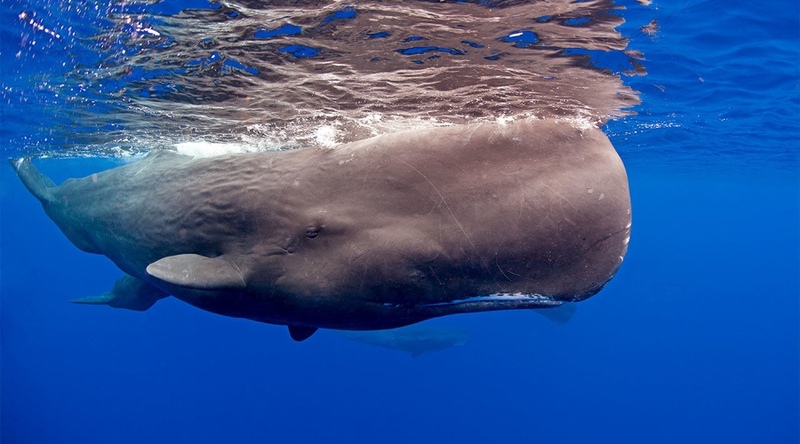 You can swim with these giants in the open ocean. The main attraction of the Shantar Islands is the bowhead whales. These sea giants usually live in the Arctic Circle. But in the Sea of Okhotsk, there is a unique, southernmost population of these beautiful animals. Diving in Sri Lanka is an excellent opportunity to see the untouched coral reefs, sunken ships, and underwater caves. 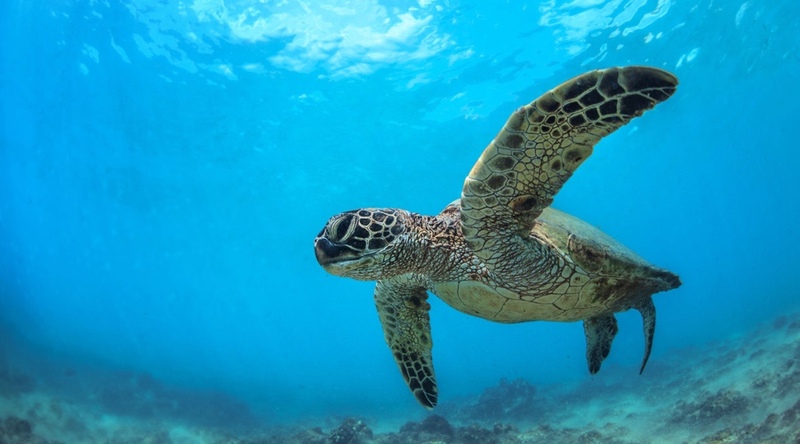 There are many beautiful species of fish and five species of sea turtles. And here you will have a unique opportunity to swim with the whales, which there are several species. Tonga – is the kingdom in the South Pacific, located on 170 islands, many of which are uninhabited. This is one of the most interesting and popular diving destinations in the world. You can dive all year round. The islands of the Tonga archipelago are surrounded by colorful coral reefs inhabited by a wide variety of fish. And here you can get an unforgettable swimming experience with the Humpback Whale. Diving in Mexico will give an amazing impression to both a novice and an experienced diver. There is a choice between the Pacific and the Atlantic Ocean, which means you have the opportunity to see a variety of underwater inhabitants. Underwater contemporary museum El Museo Subaquàtico De Arte (Musa), sea lions at Isla San Pedro, great white sharks in Guadalupe, cenote diving in Yucatan, bull sharks in Playa Del Carmen and many more wonders are waiting for you here. And finally, something very unusual. We used to think that diving is an occupation for the southern regions. But in fact, there are places in Antarctica that you should definitely visit. The animal world is not rich here, but it’s unique — any sorts of sea spiders, shellfish, sponges, jellyfish, Weddell seals, and emperor penguins. In addition, visibility reaches an incredible 300 meters!